The studies on Qajar Iran did not pay much attention to Islamic law. The Western-inspired Qajar intellectuals sought to establish modern secular law (qanun), but rarely discussed shari‘a. However, the Iranian civil law of 1928–36, which included many elements from Islamic law, indicates that the law provided a basic infrastructure for society. Based on the shari‘a court records and documents from Qajar Iran, Kondo will argue the practical aspects of shari’a in Qajar society. He will also explain how the Qajar Shari’a courts were different from their Ottoman counterparts, which have been well-studied and well-documented. 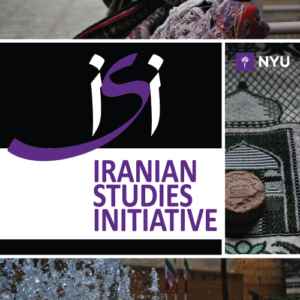 The mission of the Iranian Studies Initiative is to create a home at NYU for academics, intellectuals and public figures committed to deepening our understanding of Iranian history, society and culture. The Initiative organizes events that reflect a broadly interdisciplinary and comparative approach to the study of Iran. Ultimately, our mission is to create an Iranian Studies Institute at NYU.